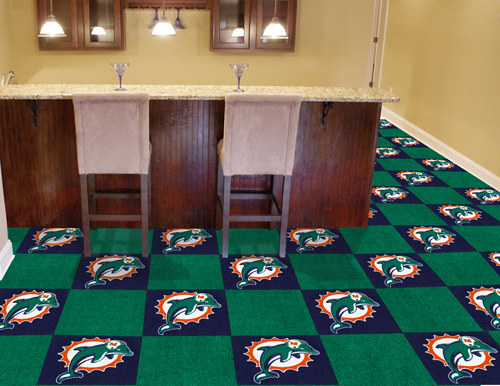 NFL carpet tiles that are officially licensed by the NCAA. Support your favorite pro football team with our NFL Team carpet tiles. Sorry, samples are not available on these tiles. 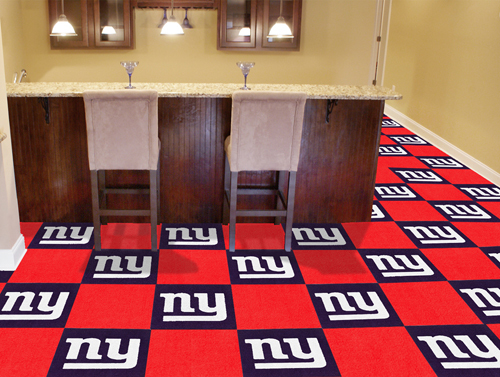 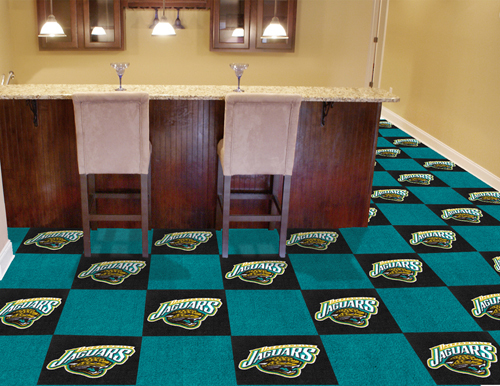 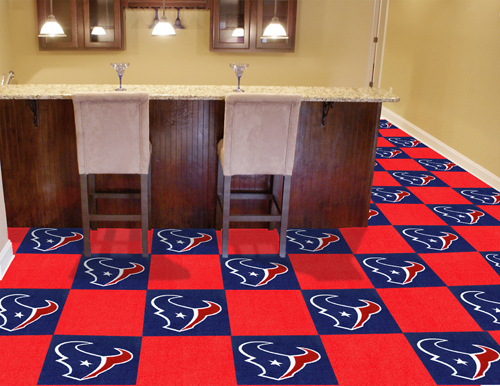 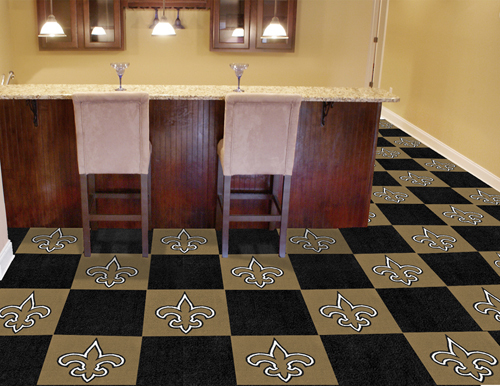 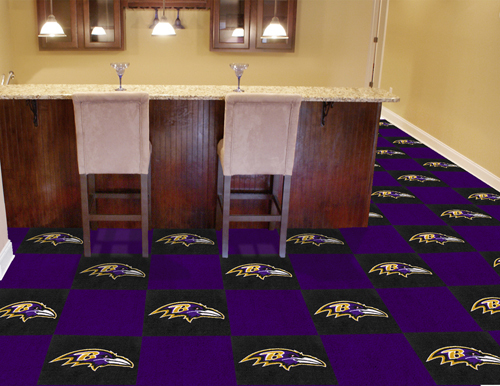 Take your game room, kids room or basement to the next level with our NFL Carpet tile squares. Officially licensed by the NFL. Constructed with a hand made fiber carpet face and vinyl backing. These tiles come in the exact NFL Football Team colors and licensed logos. Each box of 20 tiles comes with 10 logo tiles and 10 solid tiles. *Some destination fees may apply.